Find out what Forbes is saying about us. American Pearl was one of the first e-commerce sites on the internet and the first website to sell pearls. 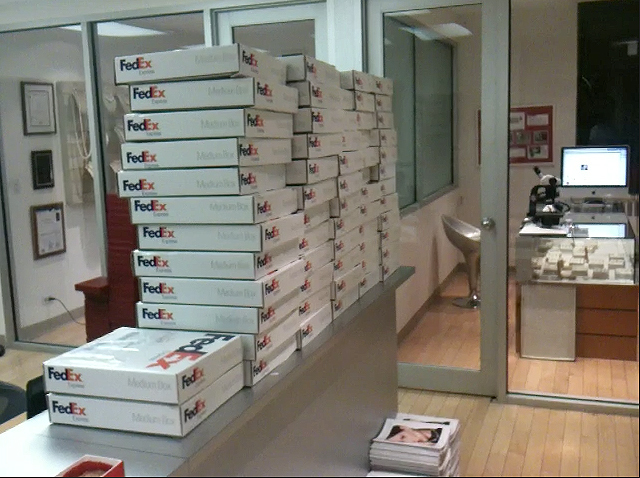 We have shipped hundreds of thousands of packages since we first launched our website. Complimentary shipping is available via Fedex Ground for all domestic shipments within the US. Production time will vary depending on items ordered. A tracking number will be sent to you as soon as it is ready to be shipped. All shipments are sent from our New York office, delivery time will vary by location. Overnight and Saturday delivery is available for an additional fee, please choose the appropriate shipping option during checkout. If your order is time-sensitive please let us know in the comment field of your order. Not all items are available for next-day arrival. International shipping is available, and must be selected during checkout for all shipments outside of the US. Packages will be sent through the United States Postal Service and are subject to local customs, duties and taxes. Delivery times vary based on location. All packages shipped from AMERICAN PEARL are insured for the purchase price through transit. Once the package is signed for and received, its contents are no longer insured. We advise tracking your package through fedex.com to ensure that someone is available to sign for your delivery. If you would like to waive the signature confirmation, you may enter the request in the comment field of your order. Please note that the package is no longer insured once it is left at the delivery location. Once your order is ready for shipping, you will receive a tracking number via email. If you would like to arrange a hold for pickup at a FedEx location, please phone us at 800-847-3275. Thank you for shopping with AMERICAN PEARL.